By choosing to use the SpaceOut website you are accepting the following Terms and Conditions of Use. Should you object to any of the Terms and Conditions, you should immediately stop using the SpaceOut website. “SpaceOut” is a business name registered in Queensland, Australia (BN20633105) and owned by the SpaceOut partnership (“SpaceOut”). This is a legally binding agreement between you and us (SpaceOut) which will continue to apply while you are logged into our website or until it is earlier terminated for whatever reason. You are of or over the age of 18 years and have power and authority to enter into this agreement at law. The person who checks the "I Agree" box below has authority to act on their own behalf and your behalf to enter into and bind you to these terms and conditions. If you disagree with any of these terms and conditions or do not intend to be bound by any of these terms and conditions, you will exit this site immediately. This agreement and your relationship with us pursuant to this agreement are governed by the laws of Queensland, Australia, and shall not be subject to or governed by The United Nations Convention on Contracts for the International Sale of Goods or any other similar or replacement Convention. You unconditionally and irrevocably agree to submit to the non-exclusive jurisdiction of the courts of Queensland for the purpose of resolving any disputes pursuant to this agreement. 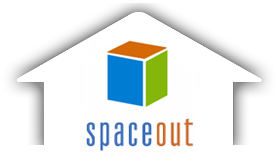 The SpaceOut website is an online advertising medium and marketplace that advertises storage space for rent by both businesses and private individuals. We are not involved in the actual transaction between owners and seekers. We are merely a passive conduit for the on-line distribution and publication of information about storage space advertised for sale. As a result, we have no control over and, to the extent permitted by law, make no warranties in relation to, the suitability, quality, safety or legality of any storage spaces advertised for rental on the SpaceOut website, the accuracy or truth of any advertising listings on the SpaceOut website or the ability of space owners and space seekers to actually enforce or complete a transaction. While we have taken all due care, we do not guarantee that this website or the materials on it will be free from viruses or that access to this website will be uninterrupted. We may terminate this agreement and your access to this website at any time without notice and for any reason. All restrictions, licences granted by you and all of our disclaimers and limitations of our liability will survive termination, although you will no longer be authorised to access this website. Any communication or material that you transmit to or post on this website by electronic mail or otherwise including any data, questions, comments, suggestions or otherwise, will be treated as non-confidential and non-proprietary information and you grant us a perpetual, irrevocable and royalty-free licence to use any such communication for any purpose we see fit. This website and the information and facilities contained on this website must not be used in any unlawful way, or for any illegal purpose, or in any manner that infringes our rights. We reserve the right to permanently ban and/or notify the appropriate authorities of any person that uses, or attempts to use, our website or our services for illegal purposes, or who posts, or attempts to post, abusive, obscene, vulgar, offensive, defamatory, hateful, threatening or sexually-oriented material. You access the SpaceOut website at your own risk and you are responsible for compliance with the laws of your jurisdiction and these Terms and Conditions of Use. You must be at least 18 years of age to place an advertisement with SpaceOut. If you register with our website as a space owner, you warrant that you are legally entitled to rent out the space you are advertising. We reserve the right (but are not required) to verify the availability of spaces offered for rent and to verify the information contained in any advertisements (including space ownership information). You agree that we may access your records and systems and/or contact you for the purposes of verification or clarification. You agree to provide such additional information as we reasonably require. All information contained on this website (including the content of advertisements placed on the website) is for informational purposes only. SpaceOut does not guarantee or warrant that the information on this website is accurate, current or complete and will not be held responsible for any errors or omissions. (b) does not form part of the terms and conditions for any of our products or services or of any other parties referred to in this site. While we have made every effort to ensure that the information on this site and available from this site is free from error, we do not warrant the accuracy, adequacy or completeness of that information. All information is subject to change without notice. We reserve the right to remove from this website at any time and for any reason, within our absolute unfettered discretion, any advertisement placed upon this website. SpaceOut does not endorse or approve the content posted in advertisements on the website and will not be responsible or liable in any way for its content or accuracy. SpaceOut cannot guarantee the screening of any content posted on the website prior to publication and is not responsible and accepts no liability for the content contained in any advertisements. As a convenience, this website may from time to time include links to other websites and/or materials, which are beyond our control ("Other Sites"). We do not review or monitor any websites linked to this website or to any Other Sites and we are not responsible for content on any websites outside this website. If you access any Other Sites, you do so at your sole risk and subject to the terms and conditions of those sites. The inclusion on this website of any links to Other Sites does not imply an endorsement by us of any of the Other Sites or the content contained on those sites. We do not warrant the safety or accuracy of the content on any Other Sites and we will not be liable for any adverse consequences to you whatsoever arising out of your access to or use of any Other Sites. We do not warrant that the materials on this website will be suitable for any particular purpose. Access to the materials is provided on a strictly “as is” basis. space you may rent from another party will be in any way suitable to your requirements. In consideration for being given access to this website, you release and forever discharge us, our employees, servants and agents and each of them from all and any liability to you of any nature whatsoever in respect of any losses, damages (whether direct, indirect, consequential or otherwise), liabilities, claims or expenses whatsoever arising directly or indirectly from use by you or any other person of this website or any of the links provided in this website or reliance by you or any person upon information contained in or downloaded from this website. All implied warranties are excluded to the extent permitted by law. (c) payment of the cost of having the goods or services supplied again or repaired. The material contained on this website, the software, design, text, graphics and layout comprising the website are owned by or licensed to SpaceOut and protected by Australian copyright and trademark laws. You are not authorised to use or modify any of the trade marks or logos (registered or unregistered) on this website without the written permission of SpaceOut. You may download and print individual advertising listings from the SpaceOut site for your own private, non-commercial use. Apart from this, you must not use, reproduce, communicate, publish, or distribute any of the content on the SpaceOut site, unless this constitutes a fair dealing for the purposes of the Copyright Act 1968 (Cth). In particular, you must not reproduce or use any of the advertising listings on the SpaceOut site for commercial purposes or for commercial gain. By entering into competitions run by SpaceOut, you agree to have your name posted on the SpaceOut website in the event that you are a winner. Further conditions apply to entry of SpaceOut competitions, as displayed on the competition pages. The placing of listings on the SpaceOut website is subject to these Terms and Conditions of Use. (c) commit to paying the listing fee as particularised below. By requesting that a listing be placed on the website, you are agreeing that the information is non-confidential for all purposes. You are granting permission to the public to use, copy, distribute and display your communications. Your listing may only include text descriptions, graphics, pictures and other content relevant to the rental of that storage space. In addition, any phone number provided by you must be yours, or you must have permission to use it. You must ensure that any phone number listed is correct. We reserve the right to modify or refuse any ad which appears unsuitable to us. You agree that we have an unfettered right to use (in any way we see fit) any copyright subsisting in your listing. In this regard, it is your responsibility to procure any necessary moral rights consents from authors of work you submit as part of your listing. Subject to these Terms and Conditions of Use, we will use our reasonable endeavours to display listings in the format submitted by you and in accordance with your placement instructions. However, we make no guarantees or representations regarding the display of your listing. We also reserve the right to select, edit, condense, determine the duration of, withdraw or refuse a listing. You may cancel or withdraw your listing at any time. No refunds will be provided on listings which have been paid for prior to cancellation or withdrawal. It is your responsibility to remove your listing from the site upon the rental of the storage space by changing the status of your listing to “Leased”. SpaceOut does not warrant or guarantee that you will receive a response to your listing from potential space seekers, or that you will successfully Lease your Space. SpaceOut is not responsible for any misrepresentations made by a potential renter when enquiring about a storage space. SpaceOut is not liable for any loss caused to you as a result of entering into a rental agreement with a renter who was sourced from the SpaceOut site. We monitor rental of storage spaces listed on our website. You agree that if we are required to pursue you as a space owner for confirmation of a change in storage space circumstance, we will be entitled to recover an administrative charge from you of $50.00. It is your responsibility to ensure that you comply with all trade practices and fair trading legislation that may apply to you. In some states and territories, fair trading legislation may require, for example, that you provide certain information about yourself so that you are properly identified, and may require that we keep certain information about you on our records. We are not responsible to ensure your compliance with those or any other legal requirements and you undertake to comply with all such requirements. We may provide email support to you for technical issues that may arise from time to time. You acknowledge that we will use our best endeavours when providing support but that we are not obliged to have a solution for each and every technical issue that may arise. Listing rates are subject to change without notice, but price changes will only apply to new listings. Without limiting our rights under the "Content on this Website" section, we reserve the right to suspend or remove a listing without notice in the event of any breach of these Terms and Conditions. To place a listing you may use a Visa or MasterCard credit card via the Paypal payment system. We do not permanently store or record credit card numbers. Transmission of your credit card details is made through the Paypal payment system and we receive and display a response to your transaction, which is also sent to you via your registered e-mail address. We use 128 bit encryption to ensure security of your details. You should ensure that a locked padlock symbol appears at the foot of your browser window when you are entering your payment details. The listing fee is inclusive of GST. You are responsible for paying and agree to pay all fees and taxes (including GST) associated with placing an advertisement on the site. (e) any listing or any proposed listing posted by you on the SpaceOut site. SpaceOut may collect personal information about you through its website, surveys or competitions or if you subscribe to any services provided by SpaceOut. This personal information may include your name, contact details and any other specifically requested information (“Information”). If we do not act in relation to a particular breach by you of these Terms and Conditions of Use, this will not be treated as a waiver by us of our right to act with respect to subsequent or similar breaches. If you do not act in relation to a particular breach by us of these Terms and Conditions of Use, this will not be treated as a waiver by you of your right to act with respect to subsequent or similar breaches. If you register as a member of this website, you consent to receiving correspondence from us, which may include email alerts as well as our newsletter. If you have listed a storage space (Owner), or an interest in looking for a storage space (Seeker) on the site, our correspondence to you may also include information regarding the status of your listing, confirmation of the receipt and publication of your listing, confirmation of any changes made by you and notification of possible changes to the status of your listing. You may also be notified of any changes to the site or associated websites that may have a direct effect on the content or appearance of your listing. This correspondence forms part of the member service and is necessary for the management of your account. If you do not wish to receive this correspondence please do not register as a member of this website. From time to time, we may need to change these Terms and Conditions of Use to reflect our changing business. We may also need to change these Terms and Conditions of Use if we are required by law, for security reasons or for technical or infrastructure reasons. We may change the Terms and Conditions of Use at any time by posting the changed Terms and Conditions of Use on the SpaceOut site. If you are a space owner or space seeker, these changes will not necessarily apply to ads that you have already placed on the site. We are independent contractors and no agency, partnership, joint venture or employment relationship is intended or created by these Terms and Conditions of Use. For the avoidance of doubt, under no circumstances will we act or purport to act nor be responsible to act as your agent for any reason whatsoever, whether in relation to any particular transaction or otherwise. This agreement constitutes the entire agreement of the parties and supersedes all prior understandings, negotiations, agreements, written or oral, express or implied.